You would think I would have had enough. But no… hot on the heels of the end of the Gorhambury season, we headed off to the mysterious east side of the county. The Greenwich meridian seems to exert a powerful influence in Hertfordshire with its citizens seemingly afraid to cross the invisible line. Back at the start of the project, we planned to do some survey in and around Braughing. We managed just one site. 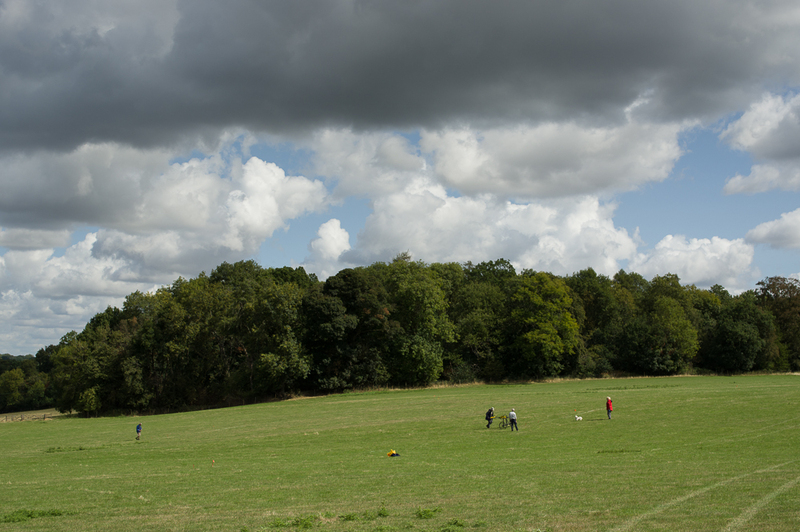 The area is extremely important with multiple late Iron Age and Roman sites including the Roman “small town” on Wickham Hill. 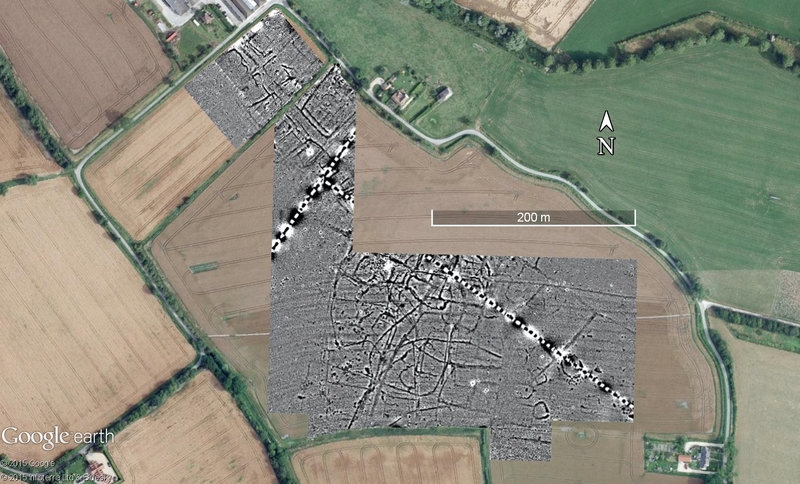 We had an opportunity to work on the small town along with members of the Braughing Archaeological Group for a couple of days, mainly to see if magnetometry would show something useful. The field was, however, rather rough and caused the odometer on the cart to over-run by about a meter, and the nuts and bolts needed constant tightening. On the second day I adjusted the odometer settings which improved matters a bit. 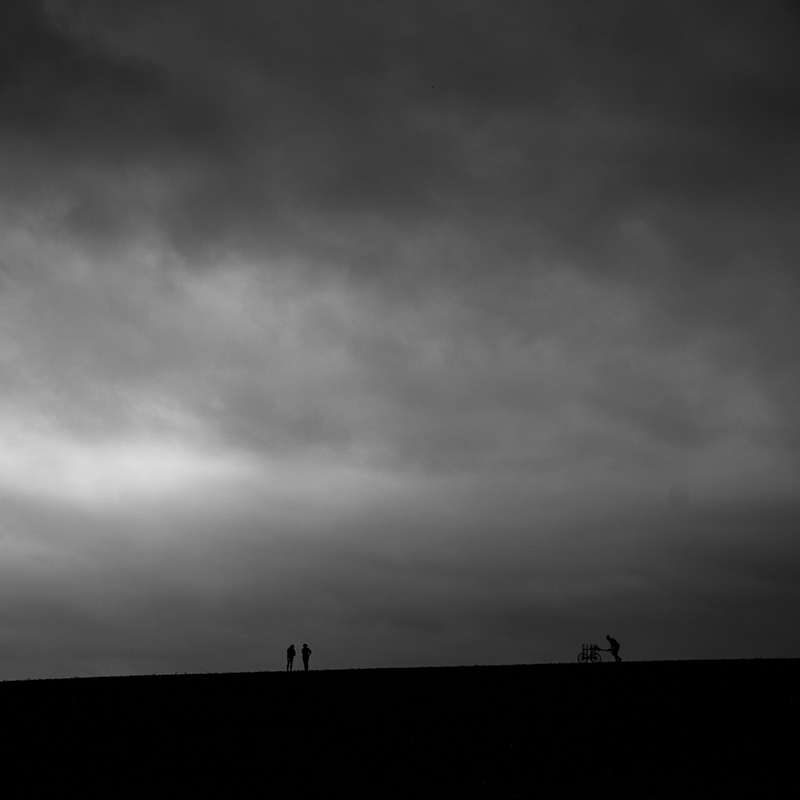 The survey underway on Wickham Hill. We managed to complete 13 grid squares which was pretty good going, especially as the data logger crashed three lines before the end of the fourteenth square and we lost the rest of the grid. 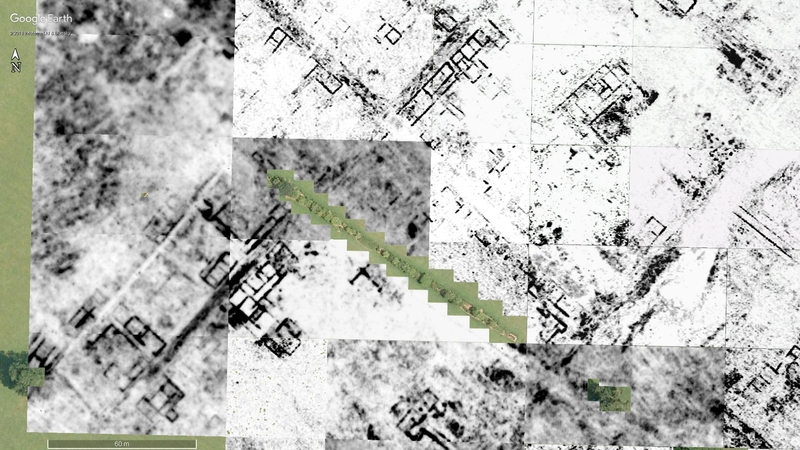 The results, after a bit of work in TerraSurveyor, were very interesting. Many thanks to Jim West for coming all the way from Chorley Wood to run the mag on the first day while I lay-in the grid, and also many thanks to all the members of BAG who joined in. Looks like we’ll be back! 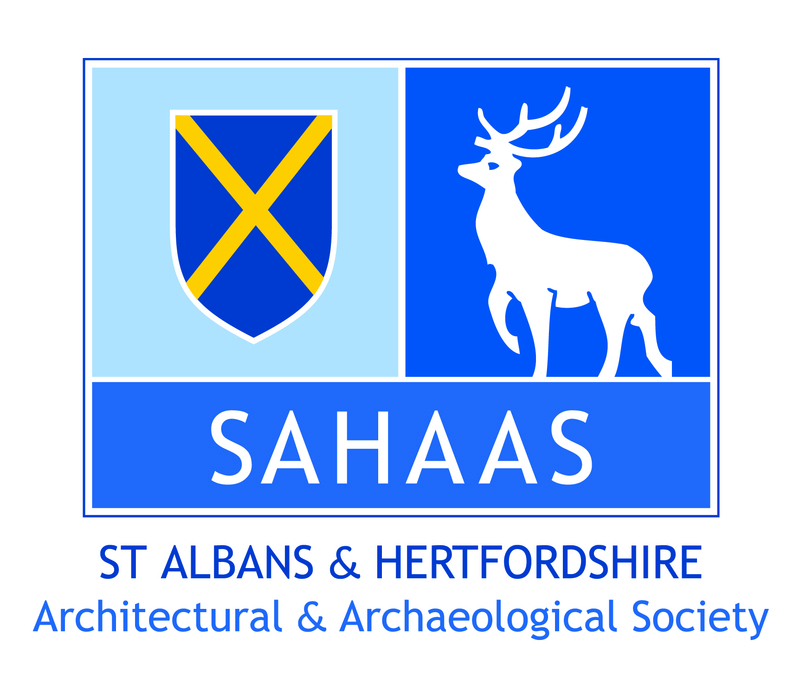 This entry was posted in Braughing and tagged Braughing, CAGG, geophysical survey, Hertfordshire, Iron Age, magnetometer, magnetometry, magnetometry survey, Roman town, Wickham Hill on September 4, 2016 by hertsgeosurvey. The weather forecast wasn’t great, but we took a chance and headed up to Great Buttway, Ashwell End, to continue our survey before the grass starts growing and we have to take a break until after the first silage cut. Great Buttway was surveyed ten years ago using a single sensor machine by Mark Noel. 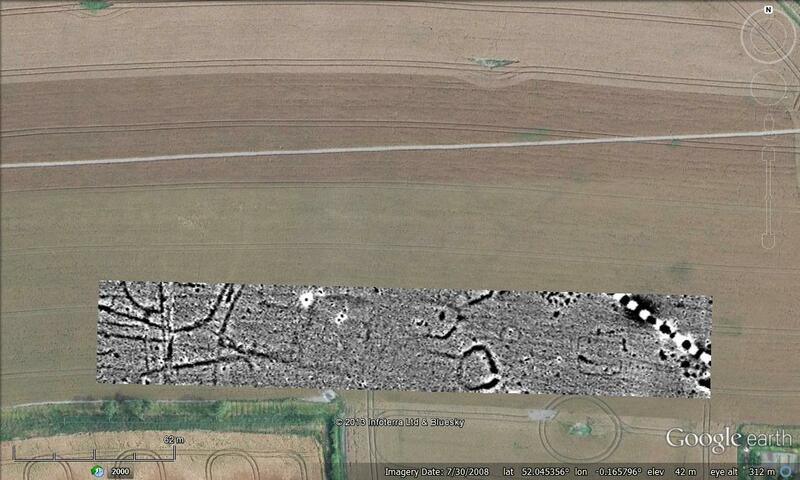 The survey was excellent, showing all sorts of Iron Age and Roman features. The only reason for re-doing it is that we are now able to survey at a higher data density allowing us to create sharper, clearer pictures..
A grey day surveying in Ashwell. Luckily for us, the rain held off and we managed to survey the equivalent of about 11 grid squares: eight whole ones and four partials. An excellent day’s work. Many thanks to Dave Minty, Nigel Harper-Scott and Jim West who joined Ellen and I today. The dGPS I have been using has had its SIM card changed to another service provider. What a difference that made, and laying in the grid was a breeze. Amazing technology, really, and revolutionizes how easy it is to georeference surveys. The survey in Great Buttway after day 6. The survey has linked up the Roman settlement in the NW corner of the area with the Iron Age settlement in the middle of the plot. A road, presumably Roman, runs NW–SE across the area past the inevitable modern services. 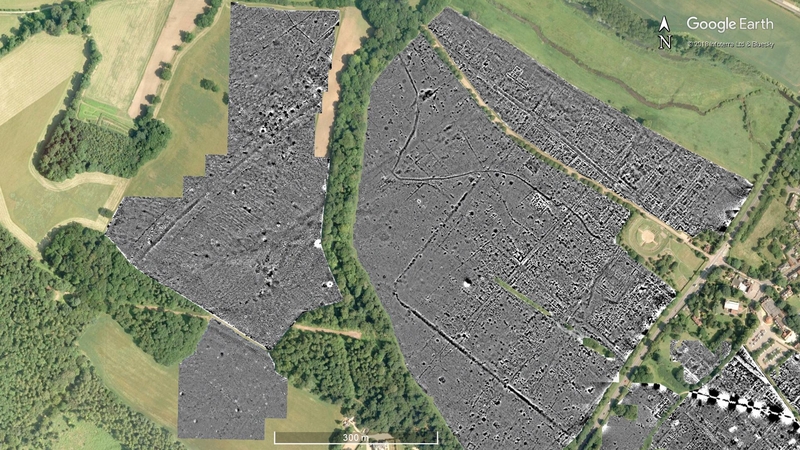 The Roman site at Great Buttway / Wayman’s field. 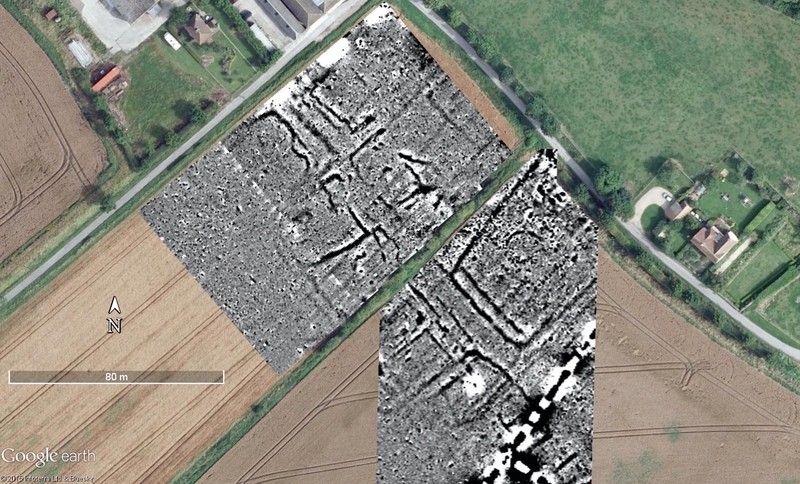 The detailed view of the Roman site shows more enclosures either side of the proposed road. 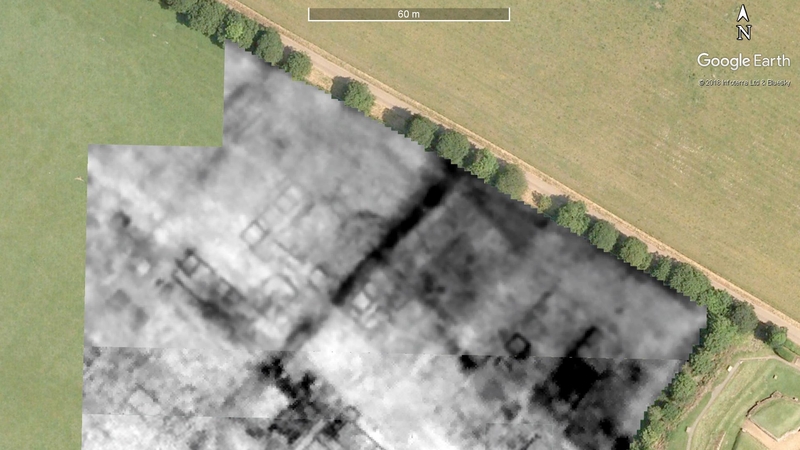 We can even see post-hole buildings in the eastern enclosure. A very pleasing result. We are hoping to go back to the site next week. Hopefully, it’ll be a little warmer! 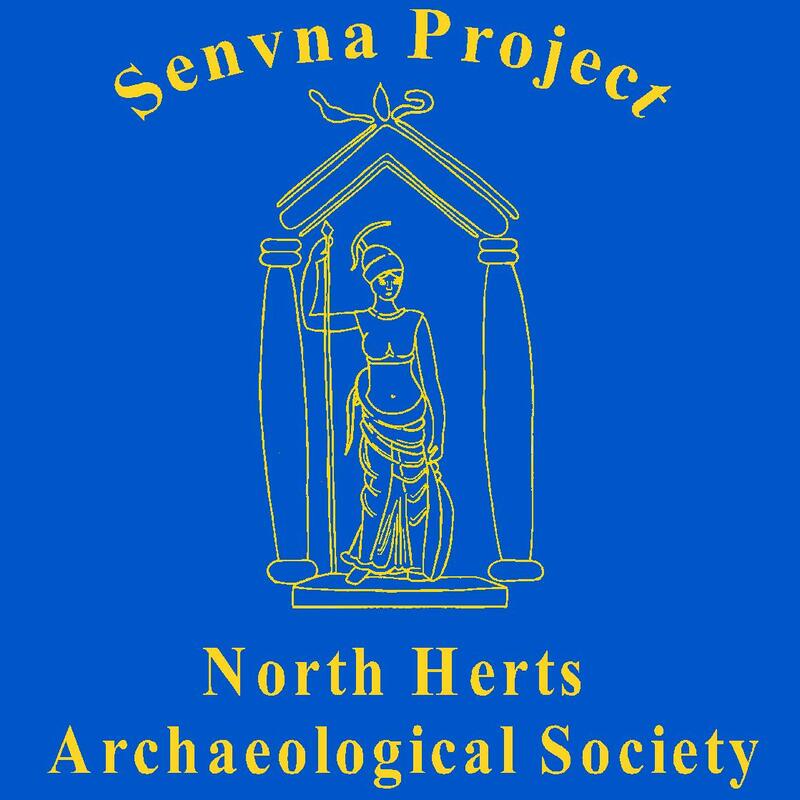 Also look out for further postings about Verulamium and a survey in the Candover valley. 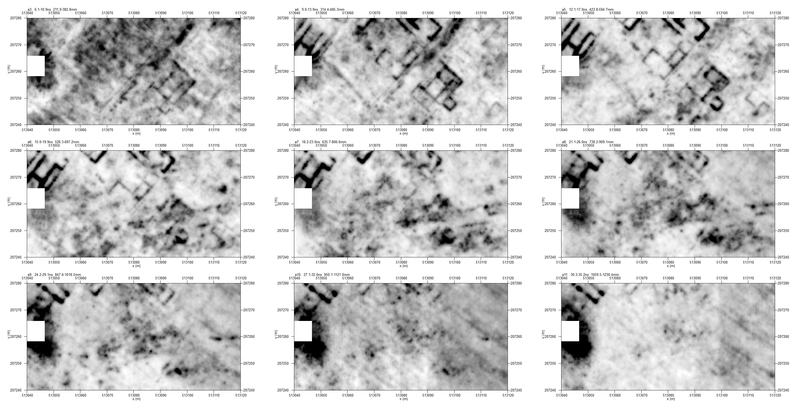 This entry was posted in Ashwell End and tagged Ashwell, Ellen Shlasko, geophysical survey, geophysics, Hertfordshire, Iron Age, Kris Lockyear, magnetometry, Roman, Senuna on March 15, 2015 by hertsgeosurvey. 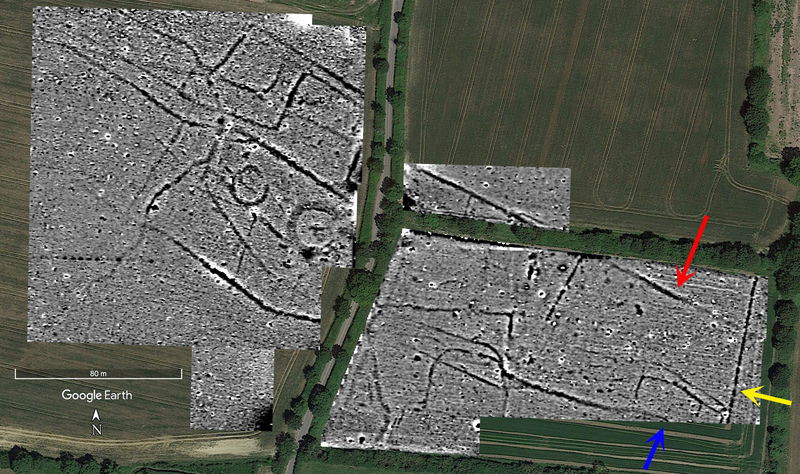 Today we ventured out to the east of the county to survey near Little Hadham. 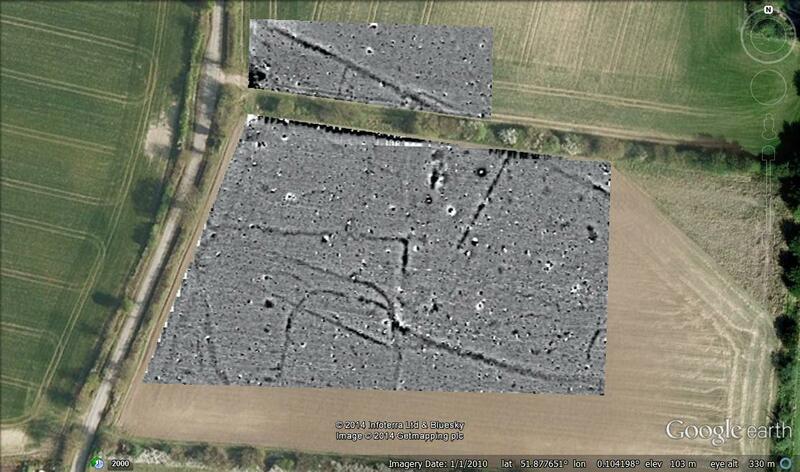 We had done a little survey at the site last autumn but returned to examine a more fruitful looking field today. Many thanks to all who turned out, we had quite a large team. As we wanted to finish the area we knew contained features we worked on until 6pm. I think the results were worth the effort. 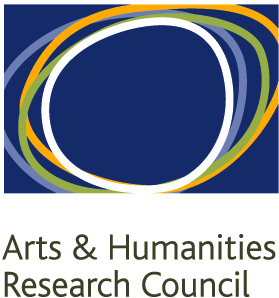 Results of the survey on 6th April 2014. 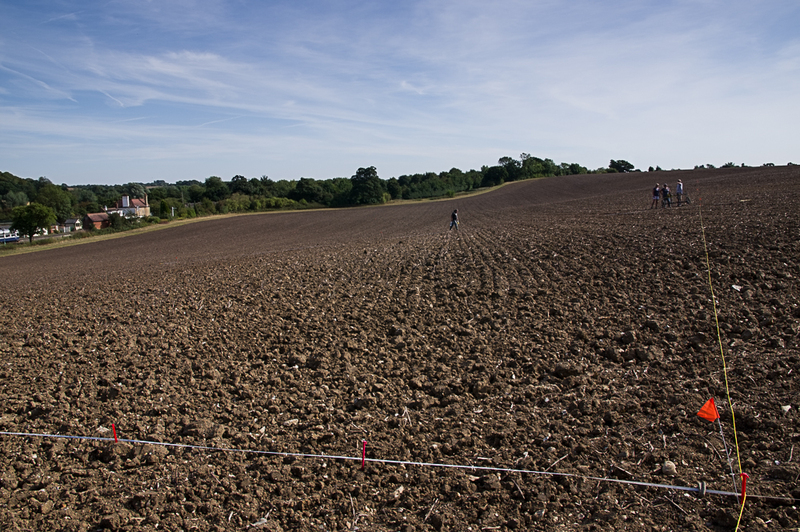 The surface finds included late Iron Age and Roman pottery and it looks like we have a small enclosed farmstead with an associated field system. 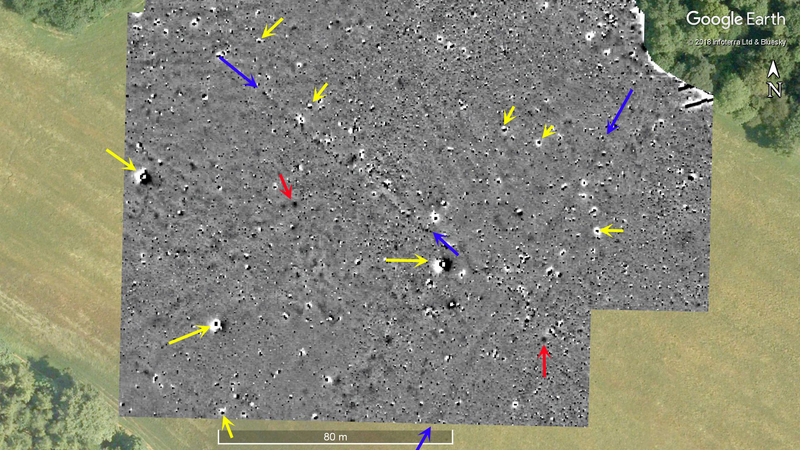 Clearly the features go further to the south and east, and metal detector finds show that it continues to the west on the other side of the road. Previous survey suggests there is not much more, if anything, to the north. The ridges from the cultivation show in the plot as the lines to running east-west, and there is a little stagger error, but nothing too bad. We can’t always survey on nice smooth parkland! Another success for the CAGG team! 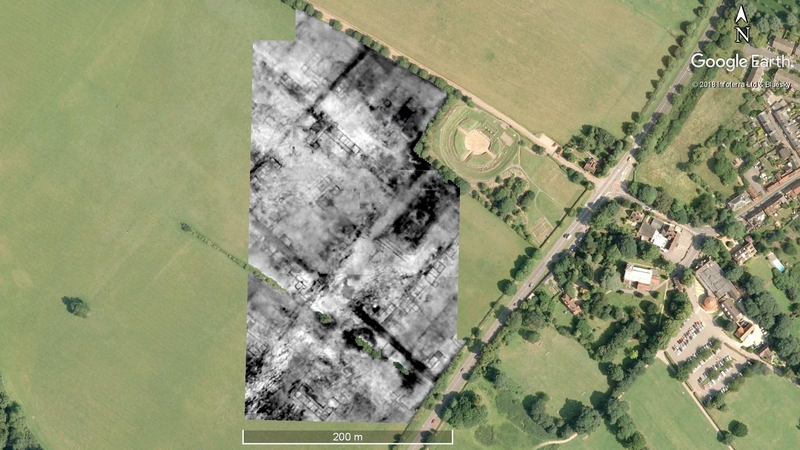 This entry was posted in Little Hadham and tagged archaeology, CAGG, farmstead, Hertfordshire, Iron Age, Little Hadham, magnetometry, Roman, ucl, WAS on April 6, 2014 by hertsgeosurvey. Last Friday, Jim West, Ellen and I spent a cold and muddy morning trying to complete the survey at Broomhall Farm, Watton-at-Stone. This survey has a long history. 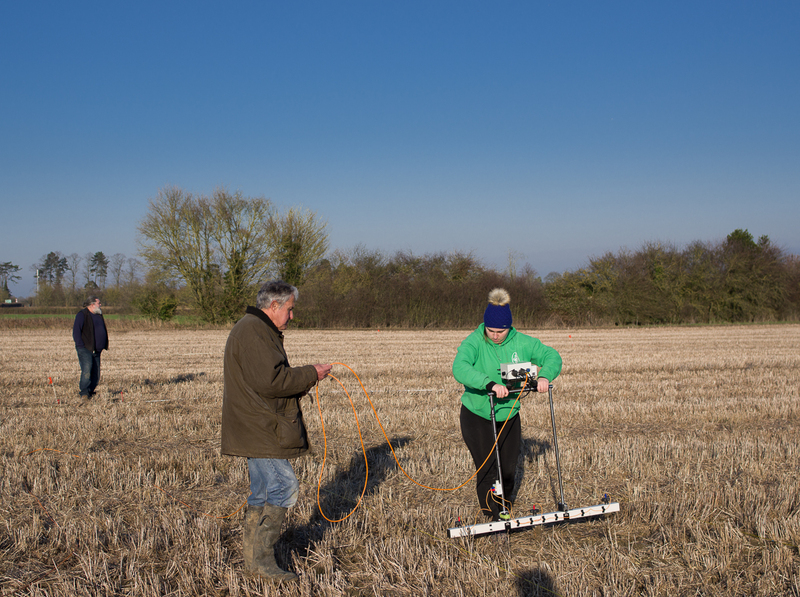 It started as a training exercise for UCL students in 2008 when we surveyed a small area of a piece of pasture using a variety of instruments. 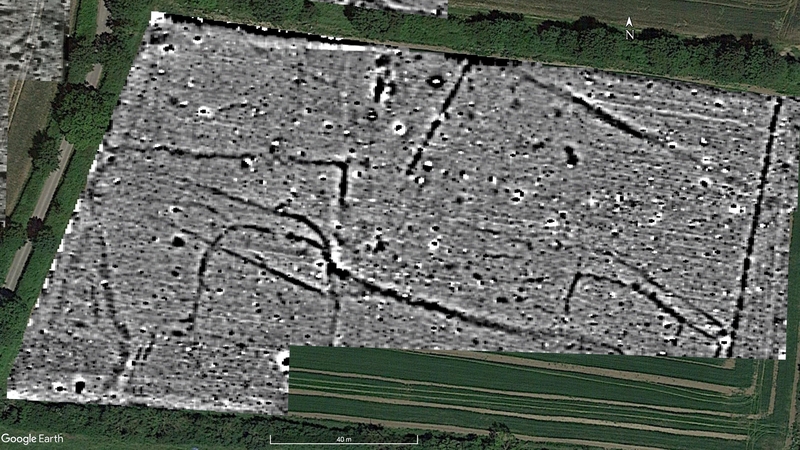 We found two ditches, one of which proved to be Roman and one from the cusp of the Iron Age/Roman periods. Two years later I had to teach another geophysics course and so we returned. 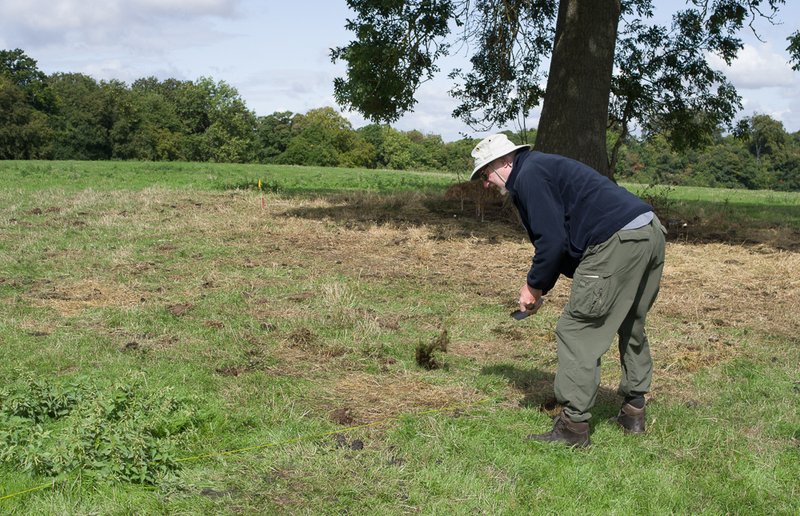 More interesting features were revealed and so the Welwyn Archaeological Society surveyed the majority of the pasture with the Bartington. In addition to the original two ditches we found two sides of a possible enclosure and a horseshoe shaped feature in the middle. Again, they all were very late Iron Age / early Roman. (Many thanks to Isobel Thompson for looking at the ceramics for WAS.) The finds included a Dressel 1b amphora handle. 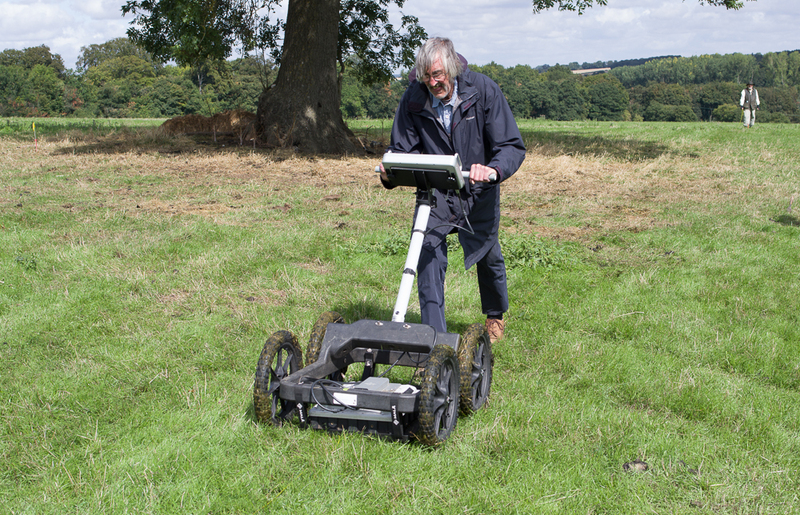 Fast-forward to May 2013 and we had our training day with the Foerster cart system in the pasture, and the first “real site” we surveyed was in the arable field called Cartway to the east of the original pasture. Unfortunately we ran out of time due to the crops and so we have now returned with the aim of completing the survey of this exciting site. 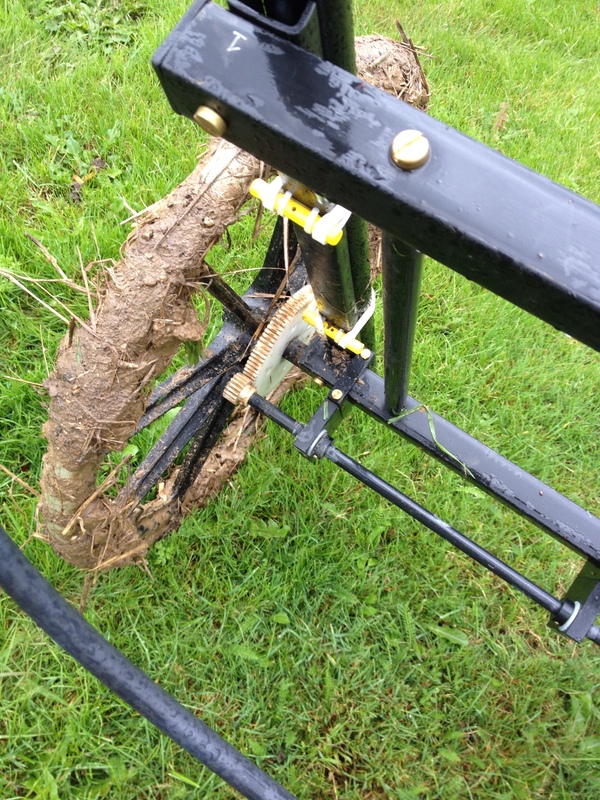 Unfortunately, the mud hindered the operation of the cart! 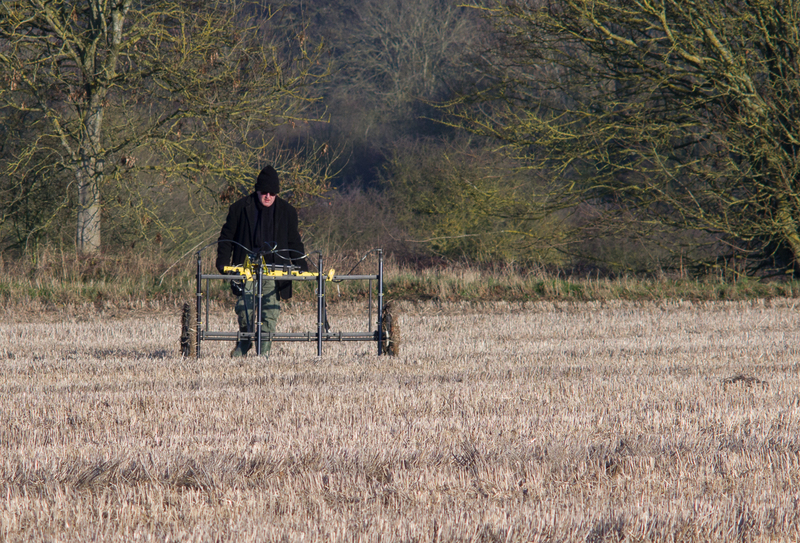 The magnetometer surveys at Six Acres/Cartway. The image of the results is a rather crude mash-up of the Bartington and Foerster surveys as I have to convert our floating grid coordinates into real-world coordinates before I can plot them accurately, The survey to the west inside the field boundaries is the Bartington, that to the east the Foerster, In the Foerster data it appears that we have picked up a series of ditches which are probably field and enclosure ditches surrounding a small Roman period farmstead. It is probable that the western enclosure had gone out of use in the early Roman period but the Roman farmstead continued to be occupied. I will be adding some more pages to this blog with descriptions of some of the sites we are working on, and of the techniques we have been using. We could do with some more help finishing these sites. I realise that working in the mud and cold is not as attractive as in the sunshine in Verulamium Park! 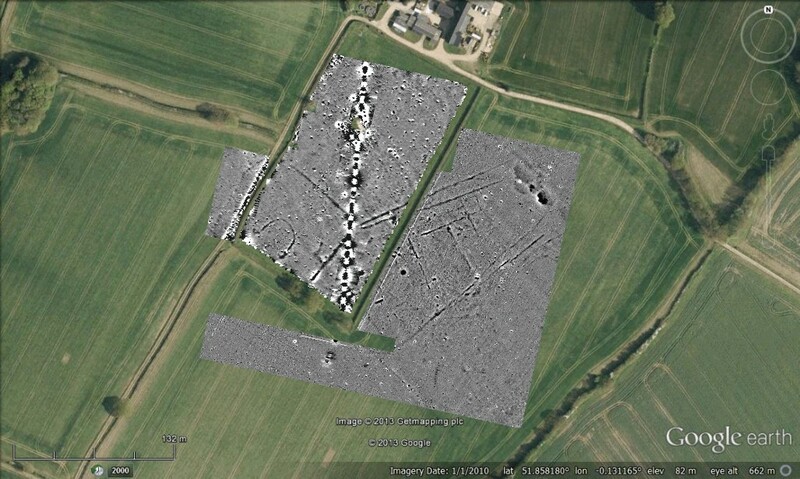 This entry was posted in Broom Hall and tagged Bartington, Foerster, geophysics, Iron Age, magnetometer, Roman, Surveying, Watton-at-Stone, Welwyn Archaeological Society on October 17, 2013 by hertsgeosurvey. Due to the terrible weather forecast for tomorrow (Friday), we decided to change our plans and try and squeeze a few grids in this afternoon at our new site at Ashwell. Many thanks to Jim West for foregoing his sail boarding and coming out to help at short notice this afternoon. Despite the wind, it was mostly a nice afternoon although we did have one heavy shower in the middle of the first grid. We managed six grids in three hours, a respectable tally. We have a further ten grids surveyed in ready for Saturday. A large proportion of the field has previously been surveyed by Mark Noel, a commercial geophysicist with Geoquest, in 2003–6. 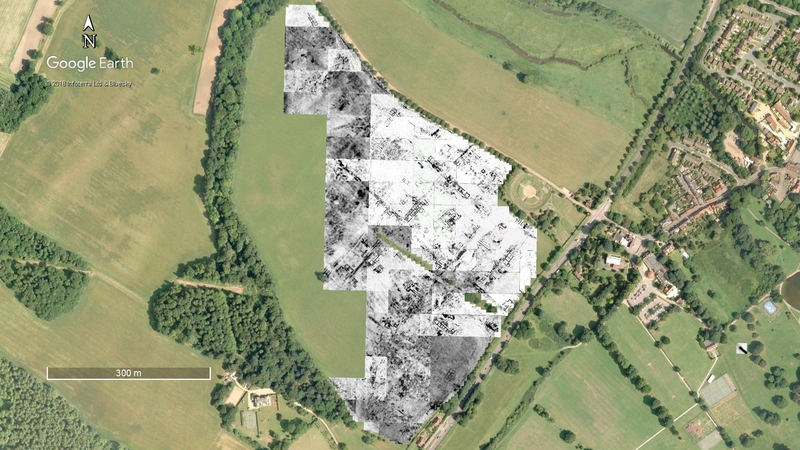 We are surveying the bits that weren’t covered in those previous surveys, as the Iron Age settlement in particular clearly spreads further to the south and east. The plot (see below) is pleasingly good with many clear features and some very subtle ones. 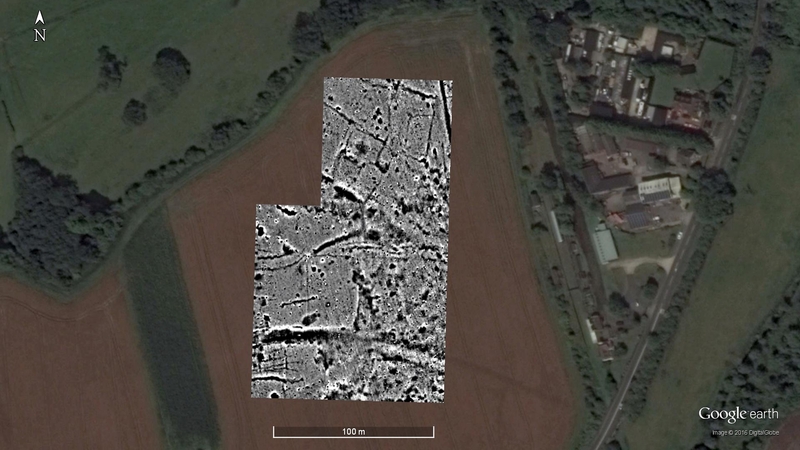 The image has been cropped to +/- 2.5nT, i.e., much more than Verulamium where most of the images are cropped to +/-9nT. The main problem with surveying here is that the odometer is less accurate than on the mowed lawns of the Park. We are getting about a 0.8-1m over-run which I am having to “destagger” in TerraSurveyor. Tomorrow I’ll adjust the odometer settings to try and eliminate that problem on the weekend. 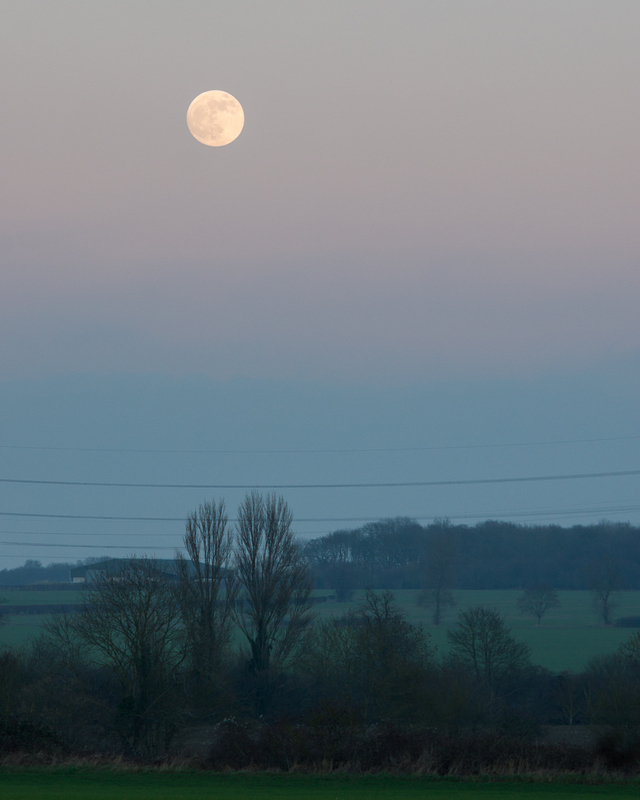 The first day’s results from the site near Ashwell. Hope to see some of you on Saturday and Sunday. Contact the usual address for instructions. 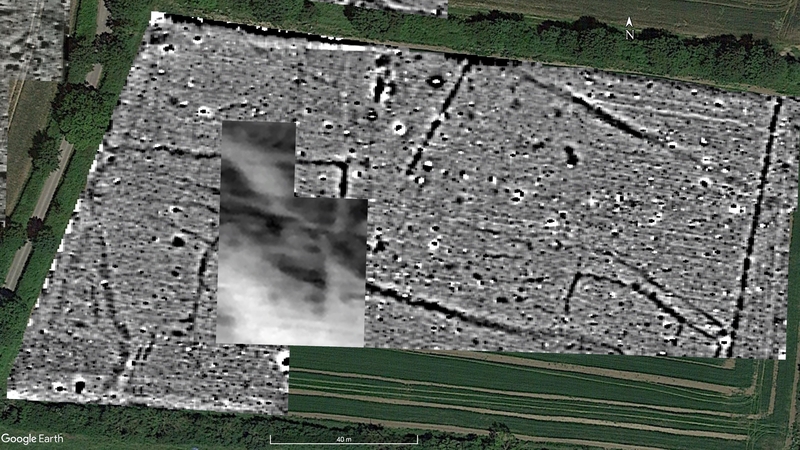 This entry was posted in Ashwell End and tagged Ashwell, CAGG, geophysical survey, Hertfordshire, Iron Age, magnetometer, magnetometry, magnetometry survey, Senuna, ucl on August 15, 2013 by hertsgeosurvey.